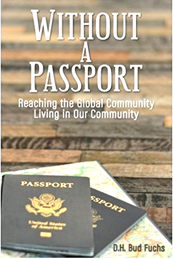 Without a Passport – North American Baptists, Inc.
Last Fall I mentioned that the Lord has blessed us by placing nearly 20 international believers in our ministry here in Utah County. That number is now over 30 and growing. Within that group, 13 nations are represented and most are from the 10/40 Window. Since October, our ICF (International Christian Fellowship) has met the first Saturday evening of each month. Twenty of us met in February. 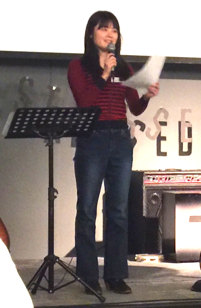 Yume, a student from Japan, became a follower of Jesus last year and shared her newfound faith in Jesus. Wow! Every person was moved by her courage and new purpose in life. Our students are now organizing and planning the events. This has now led us to begin a Bible study on the life of Jesus – “Knowing the Real Jesus.” Please pray for these weekly studies that began Feb.13. Over two years ago I was recovering from two surgeries and contemplating what the Lord was going to do with us as we prepared to resign from our assignment to go to Asia. On one of those nights, I woke up and the Lord gave me a title and placed the basic outline for a book upon my heart. He also gave me a renewed sense that He was allowing us to stay to reach internationals. So began this journey of late nights and weekends praying and writing, and rewriting and editing. Without a Passport is intended to be motivational and a toolbox of ideas for reaching internationals. Pray that the Lord uses it! To see more info or order, click on: WithoutAPassportBook.com.